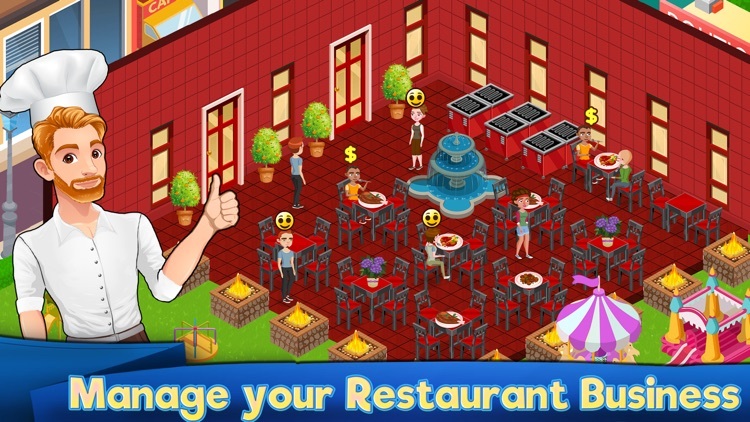 Enter the wonderful world of restaurant management and start your own cafe business today. Cook delicious food and serve it to your customers in the warmest atmosphere in town. Grow your business and expand your building, decorate it in hip ways and get more kitchen appliances, tables and chairs to be able to provide service to more and more customers. Visit the town to unlock new restaurants. 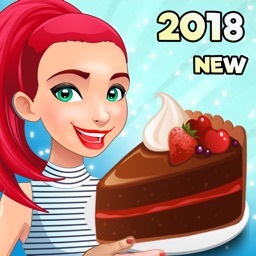 Level up and purchase furniture like grill, stove, oven to cook delicious cake, burger, pizza or steak as well as cupcakes. 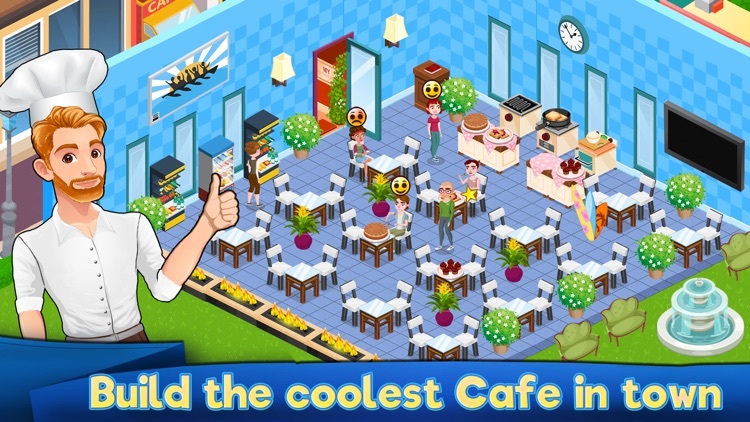 Grow your cafe into a legendary location where people have fun and eat great food with their friends and loved ones. Always upgrade your kitchen tables and chairs to provide the best comfort to the people visiting your restaurant cafe. Create a comfy cozy atmosphere in my cafe to leverage it and gain more and more money increasing your revenue. 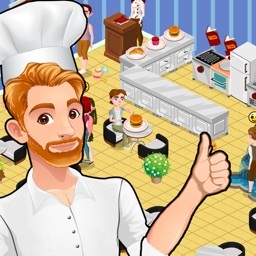 Level up and keep unlocking new restaurants, furniture, design objects, as well as restaurant kitchen chef appliances. Paint your walls in the trendy vibes and re tile your kitchen and restaurant floor with matching style. Decorate the interior with some of the many decorations available. 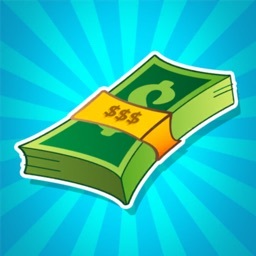 Continue to earn money and grow your business to provide better and better my restaurant experience to your customers. A cafe restaurant can not be called a cafe if it does not serve good coffee and cupcakes or other forms of desserts. Make sure you always have the best food type available for your customers to eat and enjoy. 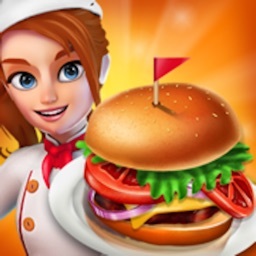 Make your restaurant cafe a place of warship and cook fabulous recipes always upgrading your food recipes. As you level up and increase your business management skills, more and more people will com to eat and chat at your diner cafe so make sure you never stop improving your cooking and restaurant management skills. 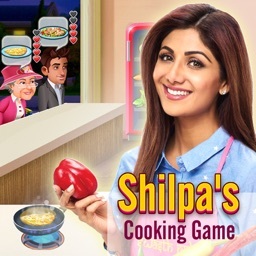 We hope you will enjoy our restaurant simulation games and that this will give you real life skills in the kitchen as well as managing your own cafe one day. Cook with passion and love and your food will always be delicious! 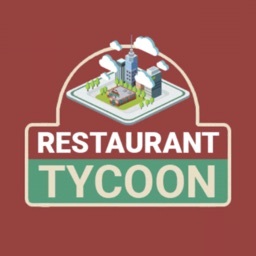 Expand your size of restaurants and create my chains of cafe. Manage your locations and make them as profitable as possible. 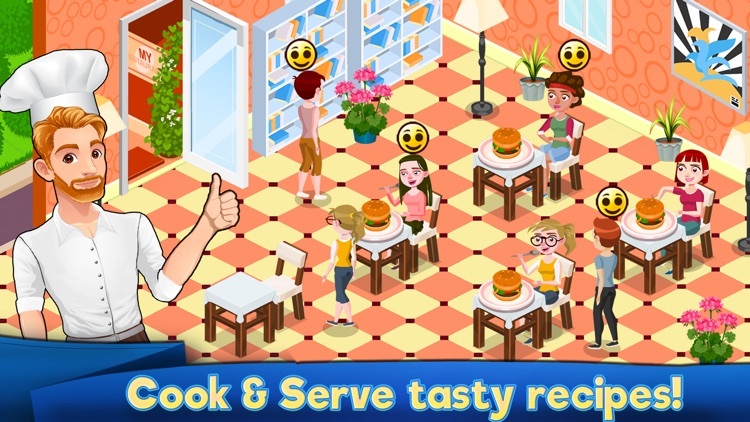 Play cafe management my restaurant business story food today for the best simulation experience!